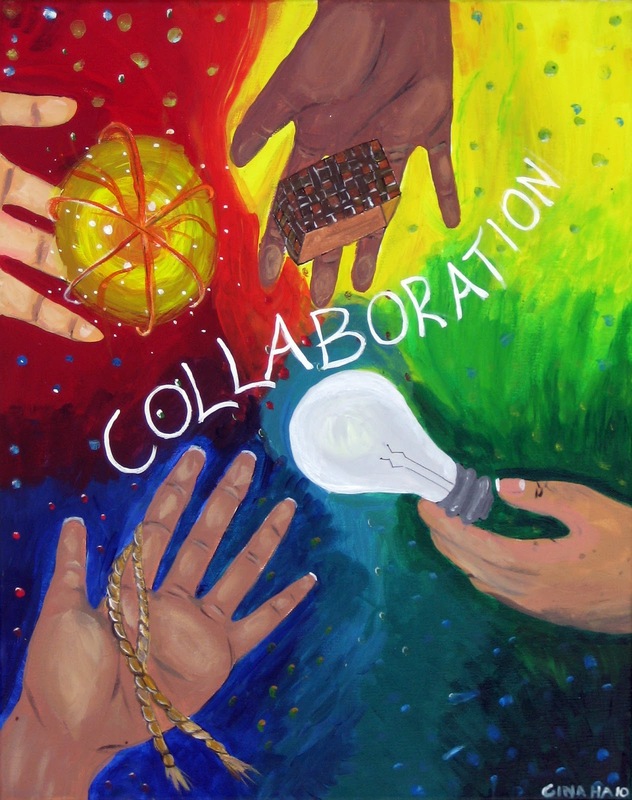 I continue to discover new visuals, new games, new strategies to use with the Lunch Buddies groups. So many good therapy tools, so little time left. Love the concept of the power card developed by Elisa Gagnon. SOL testing in the morning this week, but we have managed to squeeze in a few groups. 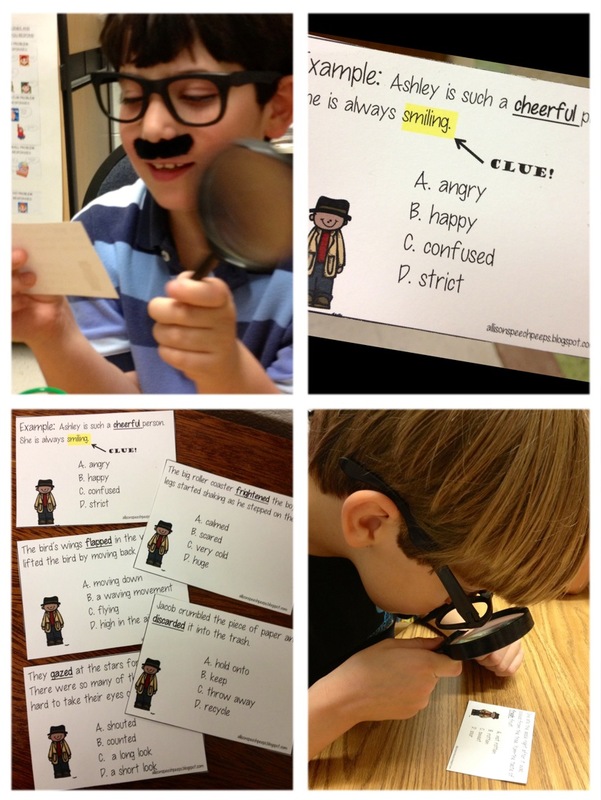 I love this activity created by Kristine Lamb over at http://livelovespeechkl.blogspot.com. I bought the download on http://www.teacherspayteachers.com. This social language game has a bit of everything. 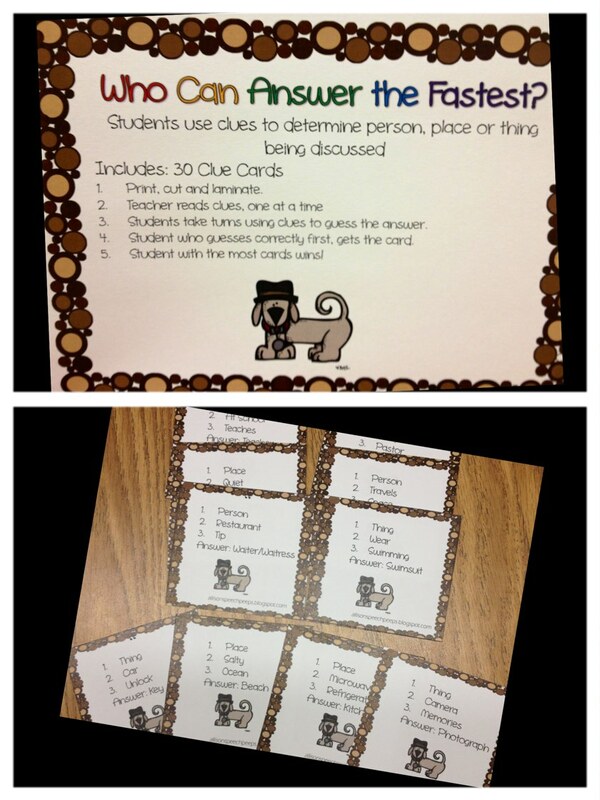 Not only is it fun but it targets inferences, predicting, cause and effect, and verbal reasoning. I even took it a step further, using social thinking vocabulary and the social behavior mapping concepts. The individual game boards look like this. With each correct answer, student accumulate points. The students worked hard on this activity. I will wear a different hat this week. 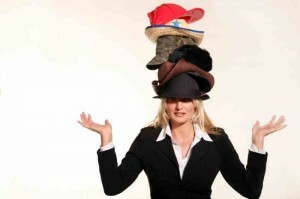 SOL testing begins tomorrow and I will wear the hat of an examiner. One of my students will take her test with me in my speech room. I am probably more nervous than she is right now!! Good Luck all you test takers! I love my job. I really do! 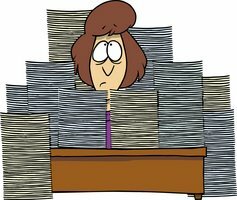 But sometimes the paperwork is overwhelming. 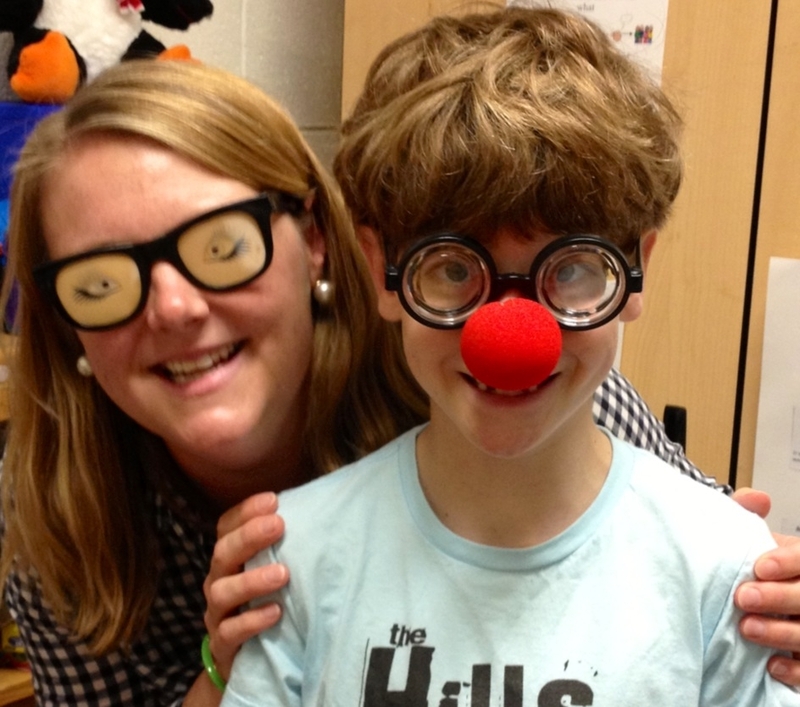 Today has to go on record as one of the MOST fun days of our school year! The first grade group looked for What’s Missing? 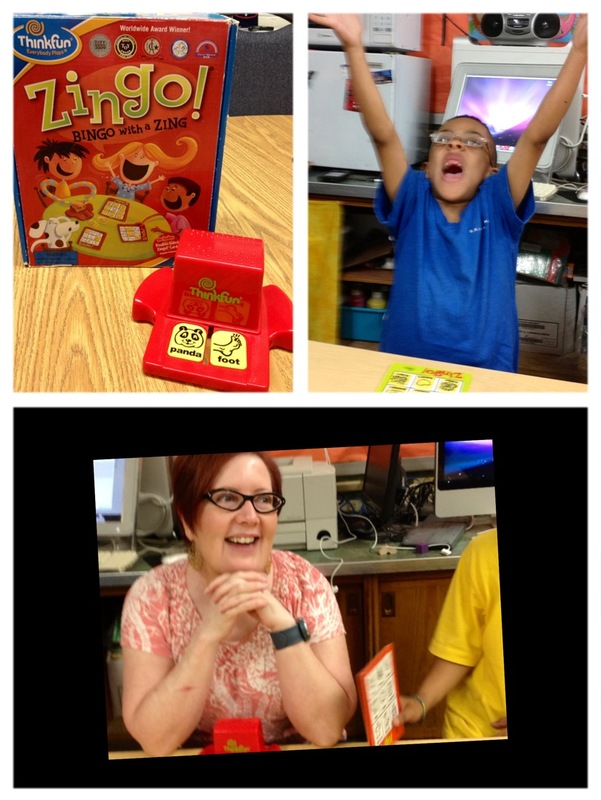 The third grade group played the Zones of Regulation App and the Multi-categorical class played a loud, fun game of Zingo. The social sleuths used their detective skills to listen for clues to figure out what each person was missing in a given social situation. We used the What’s Missing activity from Help! 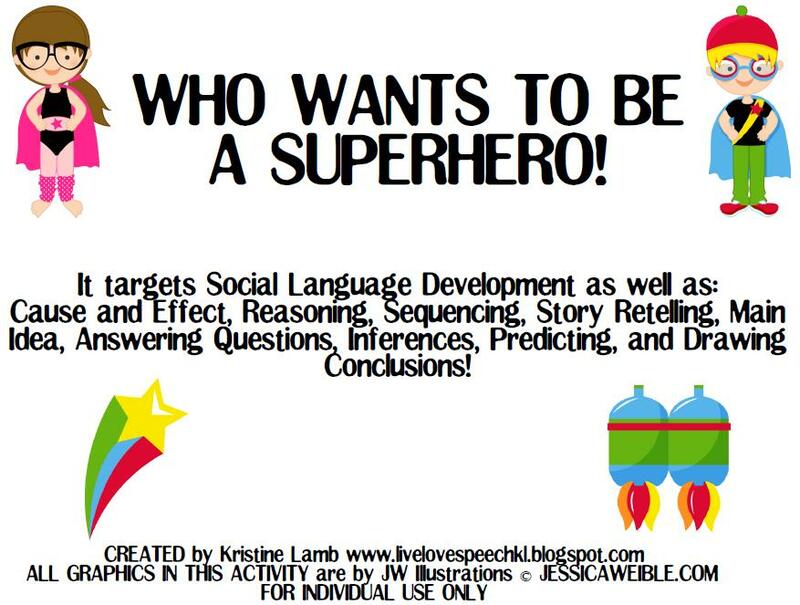 I Need Social Skills Pack created by The Dabbling Speechie and is available on http://www.teacherspayteachers.com. “Macy asked Shelly if she liked her performance in the band concert. Shelly told Macy, “The music was really boring. I didn’t like it at all” What’s Missing? Did Shelly use kind words? Playing in band is important to Macy, so saying it is boring hurts her friend’s feelings. Walker C. rocked the activity. He suggested that Unthinkable Mean Jean was causing trouble by making Shelly say mean words to her friend. He correctly named the Unthinkable who might be on the loose in many of the social situations in this game. The sleuths discussed some non-verbal cues, words or actions that the person could have done to make that social situation better. Zingo! is an all time favorite for all my students. The students in the Multi-categorical class had a blast with it. Everyone kept their brain and body in the group. I heard “big sentences” telling me that they had the picture to match the Zingo chip. I also heard encouraging comments. It was awesome! Before I share the activities of the day, I want to share a little love note. 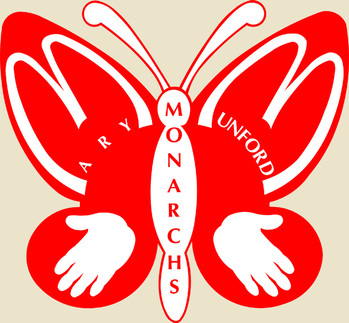 For Teacher Appreciation Week, students created uniquely designed butterflies that hung in the lobby of Mary Munford. I am proud to report that Jack B. accessed the brain file that he created for me to make this absolutely fabulous butterfly. I love how he included the coping strategy “positive self-talk” and a reference to “Superflex”. There is a poster on my board that reads, “Keep Calm and Rock it Like a Redhead”. He included “Rock it!” on the butterfly. 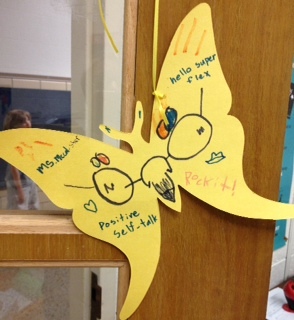 Thank you, Jack B., for being so thoughtful and creating this butterfly just for me. 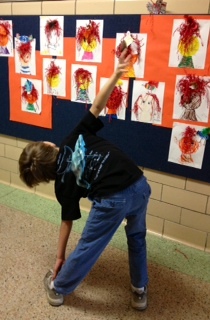 New yoga pose added to our session. We call this the “Triangle Pose”. Now, for the “Context Clues” activity. Nicole Allison over at http://allisonspeechpeeps.blogspot.com has provided us with fun learning lately. 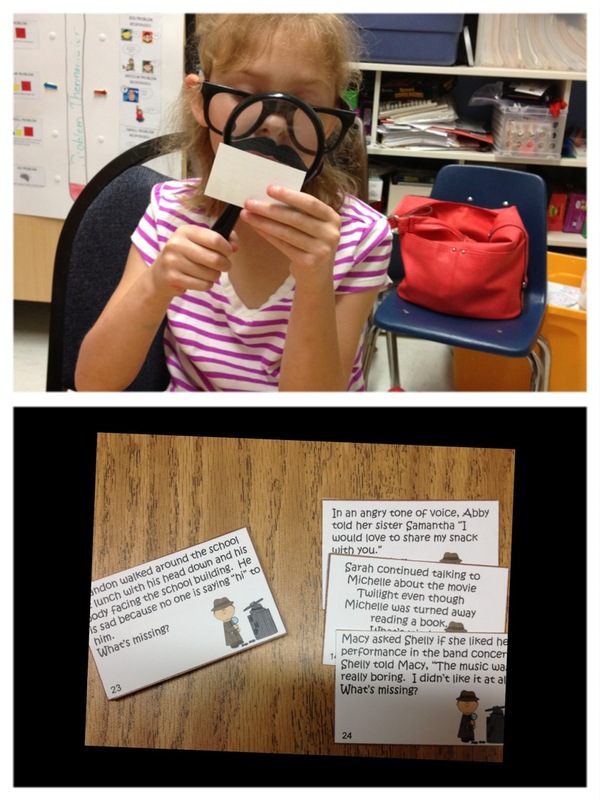 Today we were detectives again but this time we were reading and learning word meaning through Context Clues. 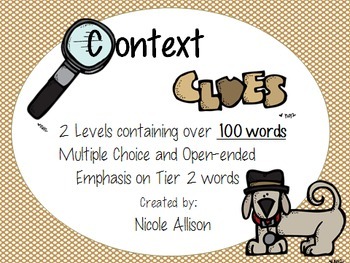 Nicole Allison asks, “Why teach vocabulary using context clues? Research supports it! 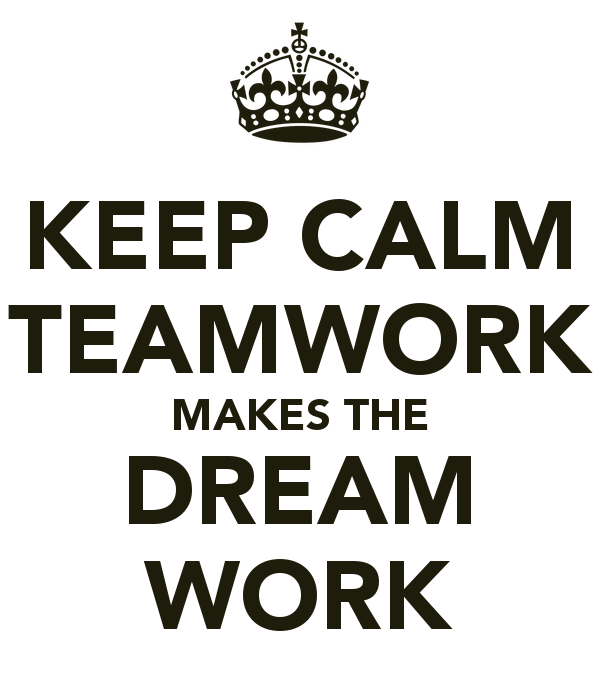 Giving our students strategies to learn words is proven more successful than trying to teach individual words”. I concur. Some of the Lunch Buddies are challenged when reading to understand what some words mean within the context of a certain sentence, paragraph or passage. Each card in this activity has a sentence containing a word in bold. The students have to look for other words or group of words that give them a clue as to the meaning of that bold word and then define it. Hard work but good practice. 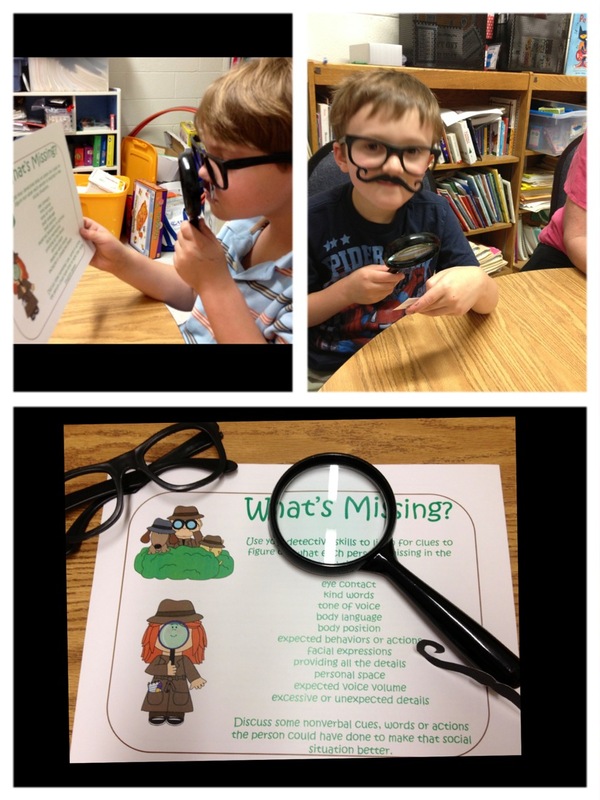 There are some mighty good detectives in the Monday second grade group! 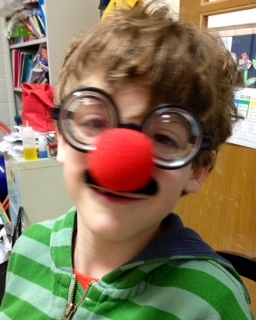 One lunch buddie was even mistaken for Mario!! 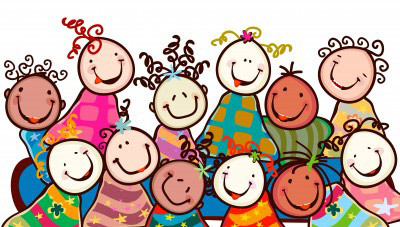 The door is always open for parents and teachers to join us for Lunch Buddies. Just today, we had a special guest. 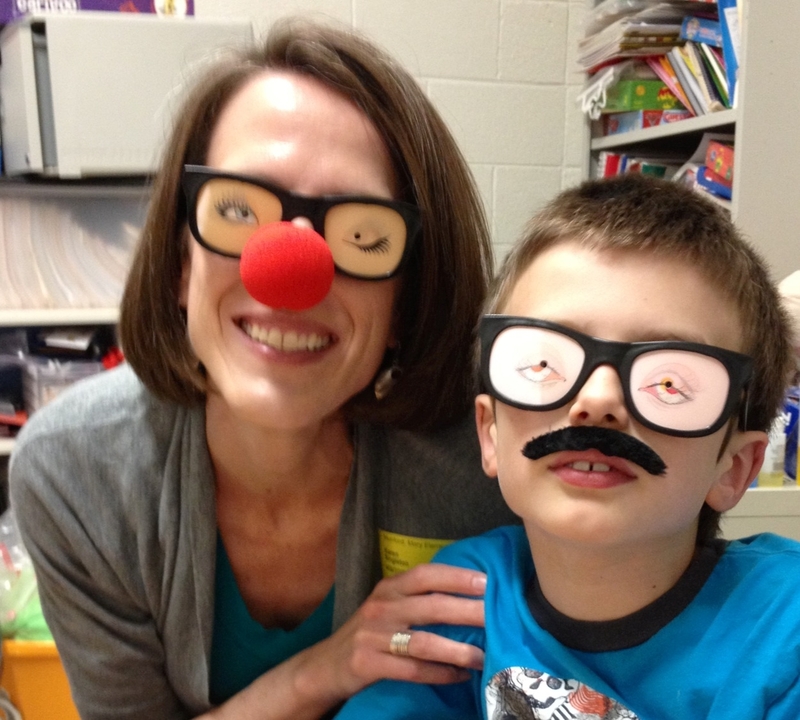 This parent joined in the fun and played “Take off that Disguise!” with us. 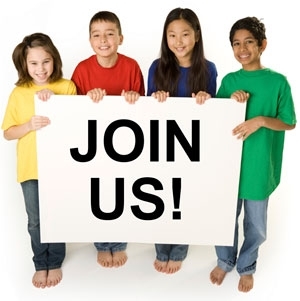 We welcome teachers! Miss Heather is an important member of our lunch buddies group. 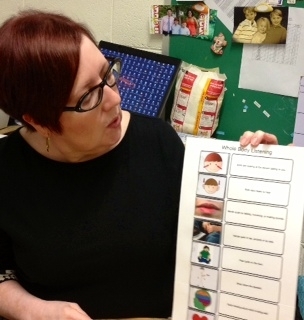 She helps the students to carryover what they learn into other educational settings. We learn social skills with a little help from our friends! Peers and friends are welcome in Lunch Buddies too! Learning and laughing every day! 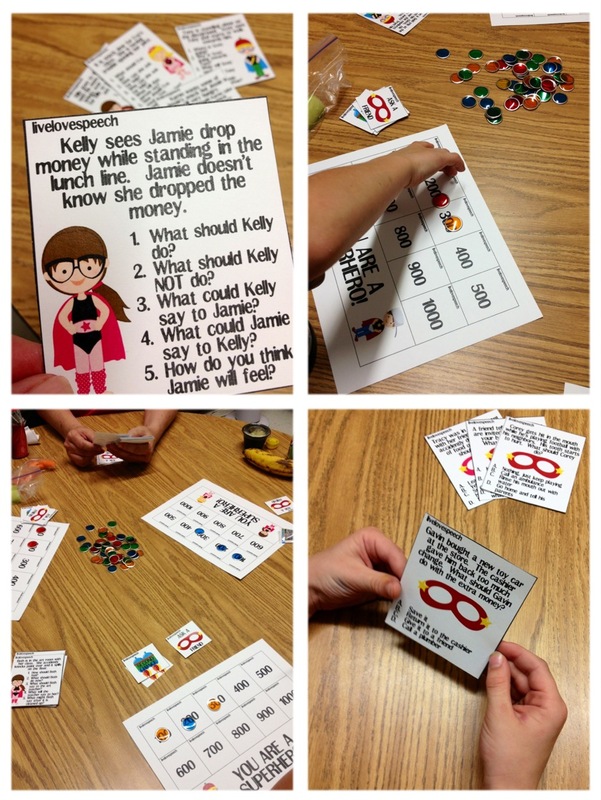 We hit the jackpot with the Inference and Problem Solving activity packet created by Nicole Allison over at http://allisonspeechpeeps.blogspot.com and available on http://www.teacherspayteachers.com. Monday we had a blast with Take off that Disguise! 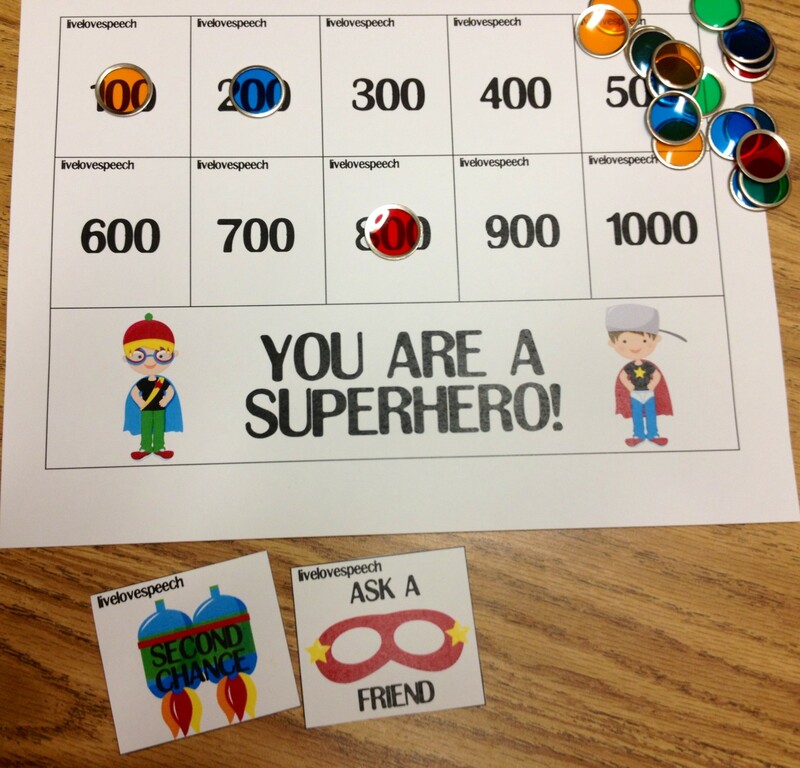 Yesterday with the first grade group we played the Who Can Answer the Fastest? game. This card game is set up like 20 Questions. There are 3 clues on each card about a person, place or thing. An example would be- Thing, Bubble, Sweet-gum. I decided to add a twist to this already fun game. I got out the “buzzers” to turn it into a Jeopardy-like game. First, I reviewed the rules. After I read the clues, the students needed to demonstrate self-control by stopping and thinking before buzzing. 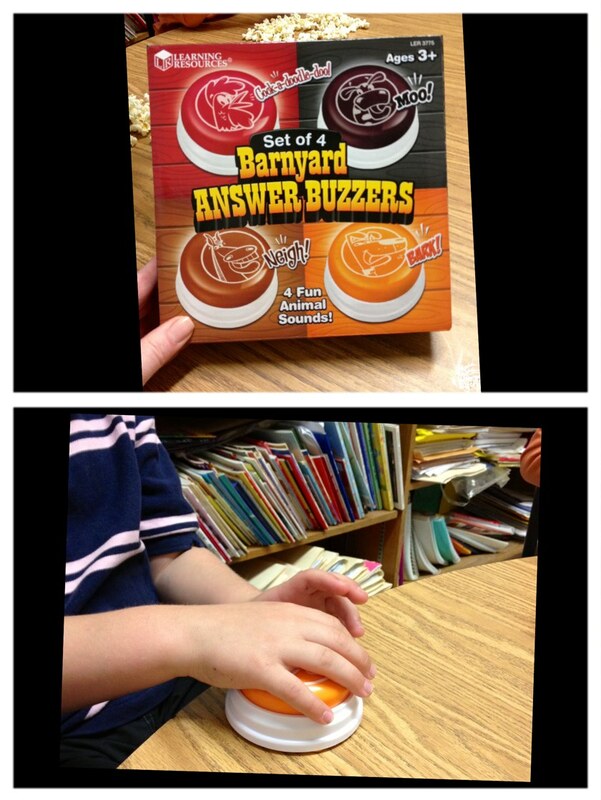 If they buzzed without knowing the answer they lost a turn. If they blurted out the answer on someone else’s turn, they lost theirs. 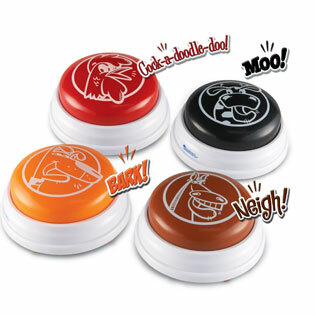 Those Barnyard Answer Buzzers are so fun! The game was a great test in self-control. Everyone enjoyed it. Today we laughed ourselves silly! 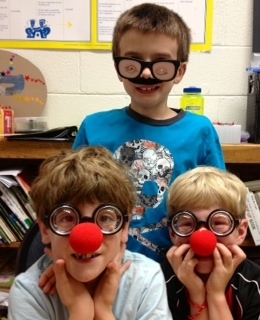 The second grade lunch buddies had the best time with this activity. This inferential and problem solving packet was created by Nicole Allison and available at http://www.teacherspayteachers.com. It is called Crack the Case. The first game in the packet, which we played today, is called Take off that Disguise! To play the game, a player picks a card. On that card is printed what a particular person might say that would provide a clue as to who they are. An example would be, “How many inches do you want me to take off?” The answer, of course, is barber or hairdresser. We all put on disguises and kicked the game up a notch. 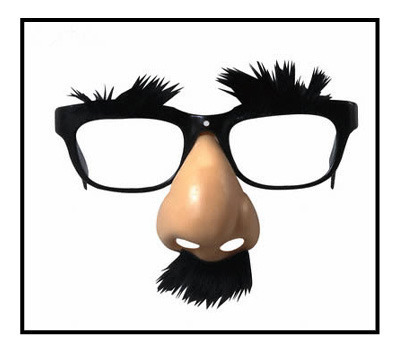 If someone knew who the student was they said, “Take off that disguise” and made their guess. We all want to play this game again next week so that they will have a turn. I use the book published by LinguiSystems titled, Can You Listen With Your Eyes?. It is especially good with young children. I try to make all lessons as interactive as possible. 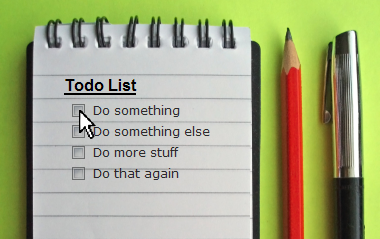 I created this visual to help me do just that. I make two copies. 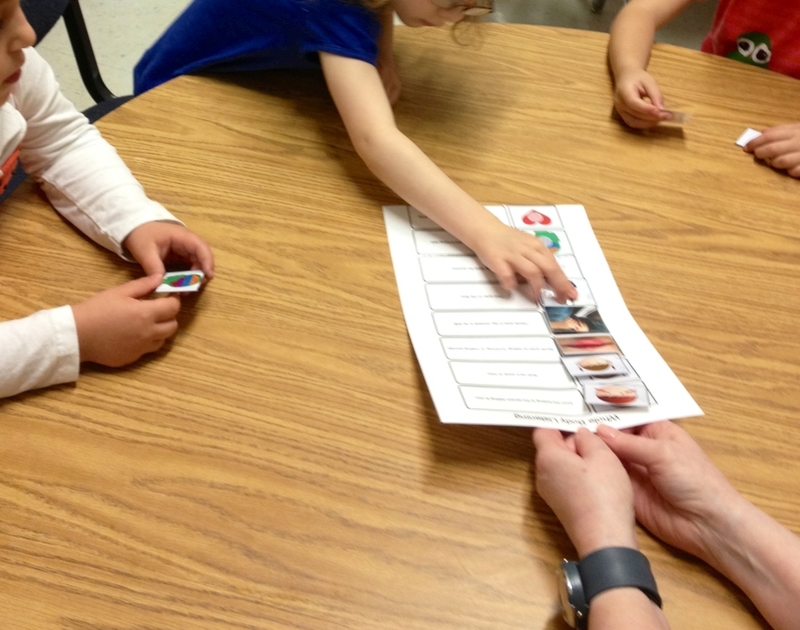 I laminate them and then cut out the pictures on one and use velcro so that the children can participate by placing the picture of the body part that is being talked about in the correct spot.